We stayed at Pelican Villa during the week of July 4. The best thing about this house is location. It is on a nice street only a short walk to the beach (about two blocks). We rented a beach cart from Beach Bums, which made it handy to haul things back and forth with small kids. Do not count on the items pictured in the garage, most of them are no longer there. (The company had warned us about this in advance, but those toys would have been nice for the kids!) At the time of our stay, there were a couple of boogie boards, a beach mat and an older beach umbrella in the garage, along with a few pool toys. Otherwise, the photos are accurate. The outdoor shower was a fantastic feature, as we were able to rinse off the beach sand before entering the house. The house itself did the trick for the week. It is not fancy, and some of the furniture is a little dated, but it had what we needed. The only problem we had during the week was with the pool. It looked green when we arrived, to the point I was nervous to have my young kids use it. My father-in-law (who has a pool) was with us and he said it was not skimming water. We called AMV to request they send someone to service it, which they did. From that point on, we pretty much dealt with the pool guy directly all week. He was super nice and came out to check on us more times than he was probably being paid to. He said the owner needed to fix something in the pool that couldn’t just be patched effectively, but all he had the authority to do was patch it. He would get the pool skimming, it looked great, and then the next morning it would be still and green again. We worked through it, and it was fine, and we used the pool plenty during the week. I do not think this was the fault of the property management company, but is something the owner needs to take care of. A little frustrating when you consider all the money people pay to stay at the home. AMV was really great to work with, kept up good communication and was responsive. They even sent a message the day before July 4 to remind guests they’d be closed for the holiday and if the needed propane tanks for grilling to let them know and they’d bring one by. Check-in/check-out was easy and efficient. We are looking to come back again next summer and will rent with AMV again, we were pleased. General tips if you haven’t visited the island before: most of the vacation homes rent from Saturday to Saturday, so Publix (the grocery store) is slammed on Saturday. Also, driving off the island took a really long time, so if you need to get to the airport, plan to leave well before you need to. It was bumper to bumper since everyone was checking out. The island was fun and we enjoyed being on the north end, which seemed a lot quieter and less crowed than Holmes or Bradenton. Thank you so much for taking the time out to tell us about your experience-we greatly appreciate our guest feedback! 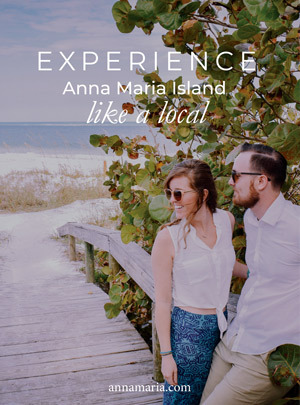 We are happy to hear that you enjoyed the amenities the property provided and had a wonderful time enjoying the sandy beaches of Anna Maria Island. We sincerely apologize for any inconvenience the pool may have caused and greatly appreciate your communication and patience in this matter. We look forward to having you back on the island soon and look forward to the opportunity to assist you in planning your next AMI vacation!